CSA – We are – Roots on the Roof! We are – Roots on the Roof! 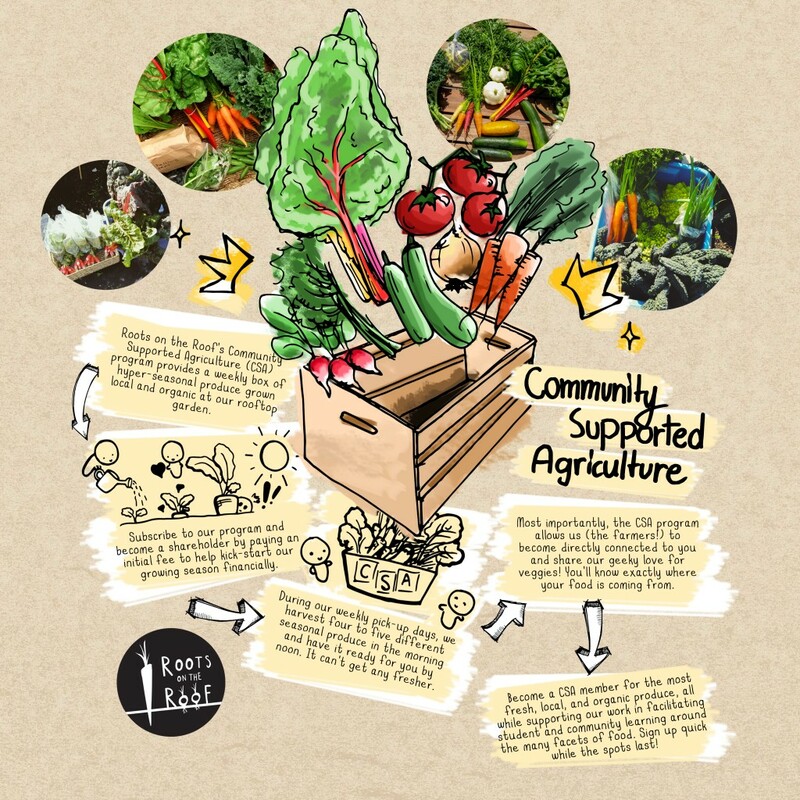 Our Community Supported Agriculture (CSA) program provides a weekly box of produce grown from the Rooftop Garden for a period of several weeks to a set of shareholders, or community members who sign up and pay an initial fee at the beginning of the growing season. Each CSA box contains approximately 4-5 different types of seasonal produce from whatever is available in the garden at the time, including vegetables, herbs, and flowers. 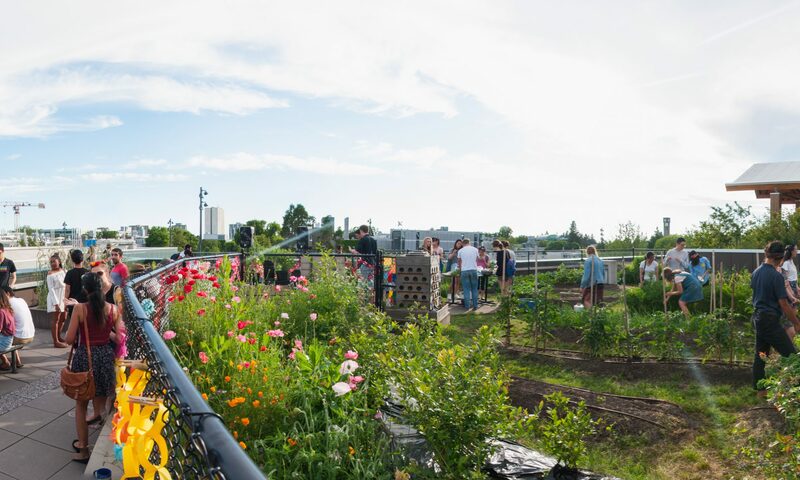 At Roots on the Roof, the proceeds from our CSA program go directly into supporting the ongoing care of the garden, our club operations, and other community programming like our food skills workshops and events. We wholeheartedly appreciate all the support we get from our CSA shareholders! CSA programs are a great way to learn more about where your food comes from and to meet the people who are growing it, all while supporting a more deeply connected food system. With a CSA box, you get the freshest food possible from providers who can not only harvest your veggies on the same morning that they deliver them to you, but who can also tell you the story behind the food you’re receiving. What does it take to grow one carrot and get it to your plate? How does something transform from a seed into a fully-grown plant? How does it feel to pick the first tomato of the season? With every batch of delicious and nutritious produce, you can gain more knowledge and appreciation for your food, too!